A worker collects a sample from a water fountain at a CPS building. CHICAGO (WLS) -- Chicago Public Schools said it found unsafe levels of lead in more than 100 schools across the city. 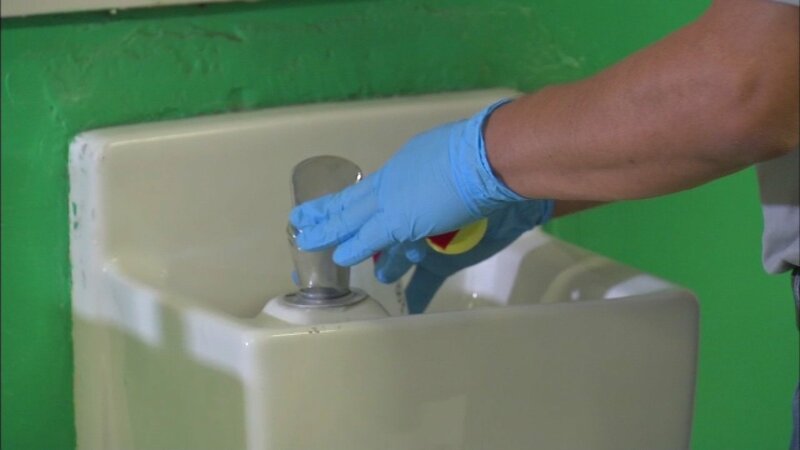 CPS said of the more than 6,167 sinks and water fountains, 184 of them had lead levels above the EPA's limit. Those fixtures have been turned off and families at those schools have been notified. The fixtures were found at 113 schools of 327 tested. One reason the sources may have tested positive is because they are rarely used, CPS said. For more information, visit cps.edu/leadtesting.